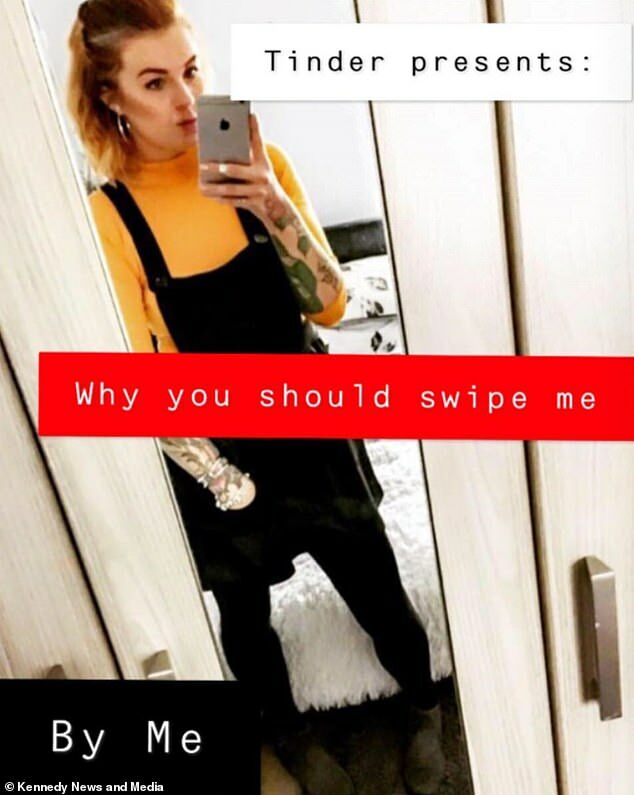 An unlucky-in-love student who's had 40 'atrocious' dates in nine months is hoping to woo potential Romeos with a Tinder presentation called 'why you should swipe me'. 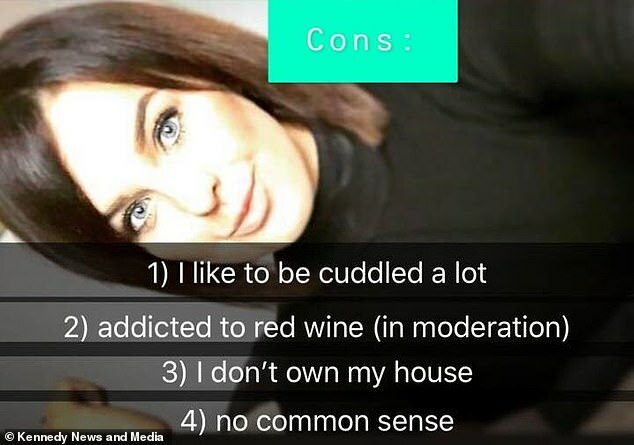 Natalie Palmer, 23, from Caerphilly, South Wales, uses the hilarious dating pitch to reveal a brutally honest list of pros and cons, which includes her love of cuddles, but also how she has no common sense. 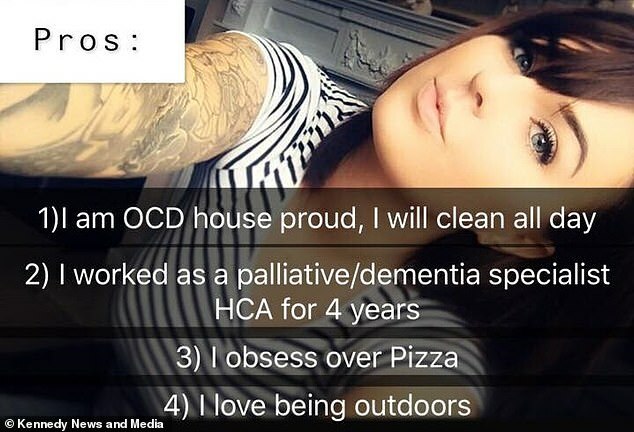 Natalie has bared her quirks in the five slides revealing she's 'obsessed' about pizza, is 'OCD' house proud and will rock a face mask on date number five. The singleton was compelled to take the drastic measure after becoming tired of always being the one who 'goes home alone'. 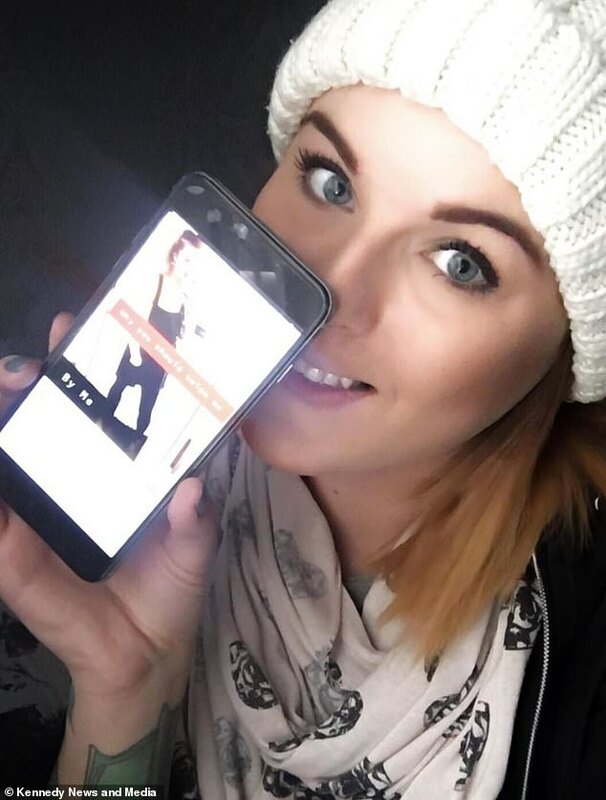 She is now hoping the innovative ad will get men swiping right and bag her a dream date. Natalie said: 'I'm 2019's Bridget Jones because I always end up going home alone. 'I've done about 40 dates in nine months - they've all been atrocious. 'I was just lying in bed looking through my phone and wanted to do something creative with my profile as I'd not been getting matches. 'Originality is pretty low these days. So many girls have Snapchat animal filters on their photos and boring bios, so I thought I'd do a presentation through Snapchat. 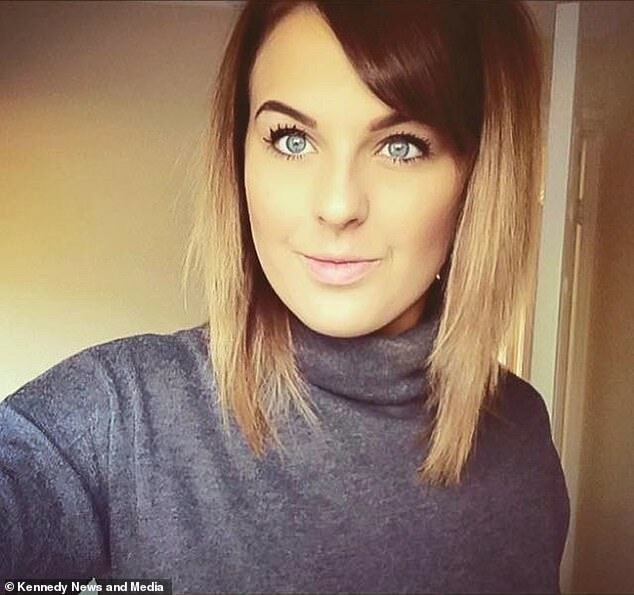 Science student Natalie said she is looking beyond superficial looks and is searching for someone who will click with her personality. 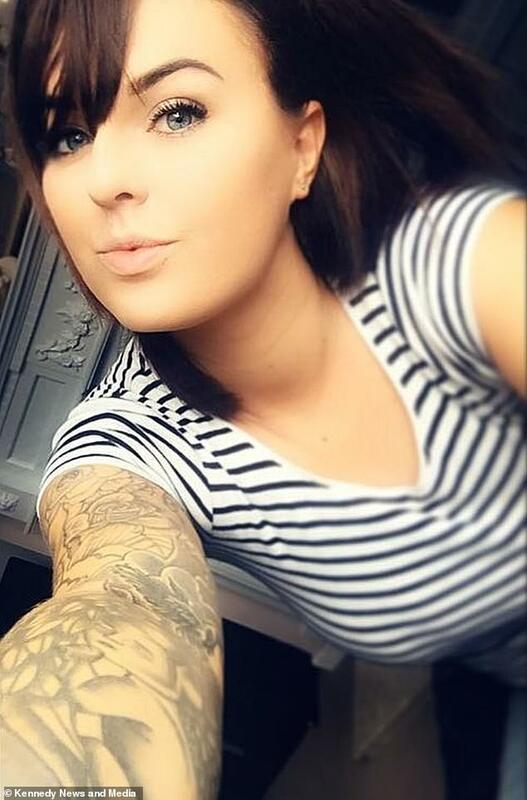 Natalie said: 'In terms of my ideal man I've got no preference, I don't even go for looks. 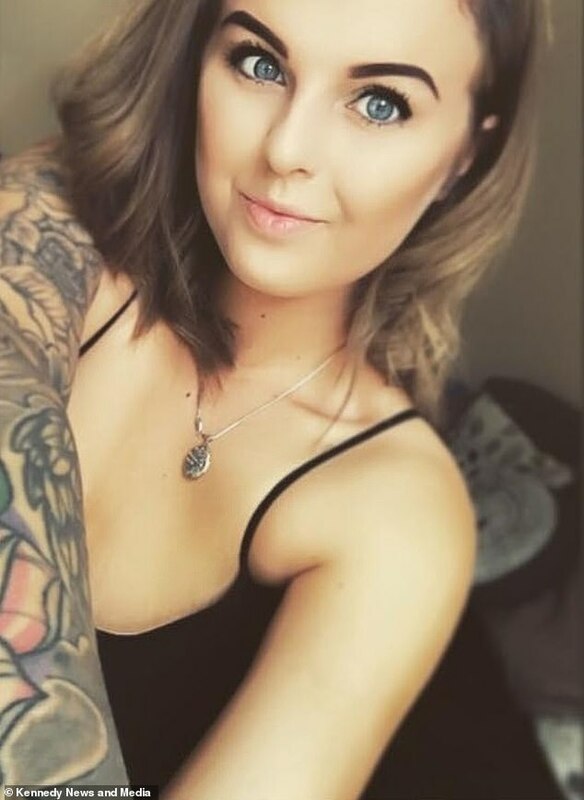 Listed first in her bio were positive traits that Natalie hoped bachelors would find attractive and capture their attention before moving onto the cons. Natalie said: 'I've got a thing about hoovering twice a day and mopping - I'm really house proud - that's wife material. Up next were details of her previous employment to show potential matches her strong work ethic and qualities they may find attractive. Natalie said: 'As soon as they see you're a student or you're young they assume you're either jobless or just studying so I thought I'd put my work from when I was 18 and explain all that in detail there. 'It also shows a caring and trusting side, you've got to be nice and have some good qualities if you do that line of work. Unlucky-in-love Natalie revealed that the way to her heart was not through fine dining, but pizza. Natalie said: 'Most guys ask where your favourite place to eat is and I'm really fussy with food. I don't like Indian, I don't like steak I just like pizza. Finally she revealed her love of the outdoors including walking, running and hiking. On the next slide Natalie detailed her cons including liking cuddles, red wine and lacking common sense. Natalie said: 'I like being cuddled and have been dumped twice for being too affectionate. 'I love red wine but apparently that is a bad flaw because when you drink too much of it and you start spewing on your second date it's not really attractive. 'I'm quite intelligent but I do lack common sense. About eight months ago I adopted a snow leopard and I genuinely thought they were going to send one in the post. 'In the end I only had a stuffed animal and an adoption certificate. I cried for days, I really thought I was having this pet. Singleton Natalie also included details of her living arrangements and revealed she doesn't own her own house. 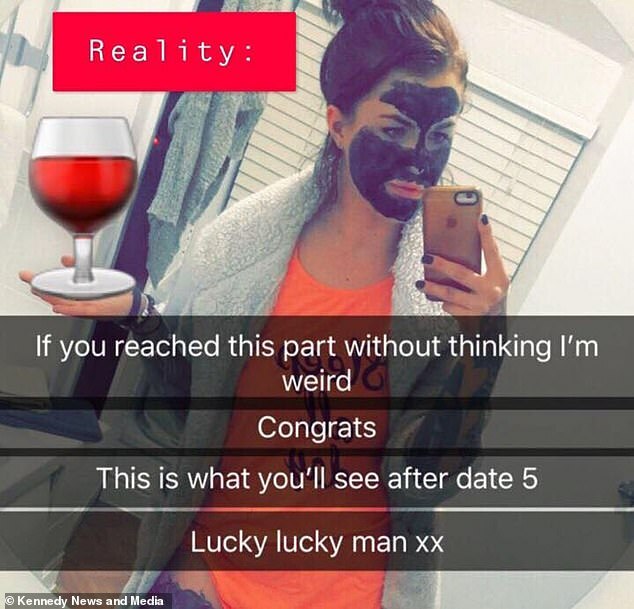 The penultimate slide shows the 'reality' of dating Natalie including a picture of her wearing a charcoal face mask and a red wine emoji. 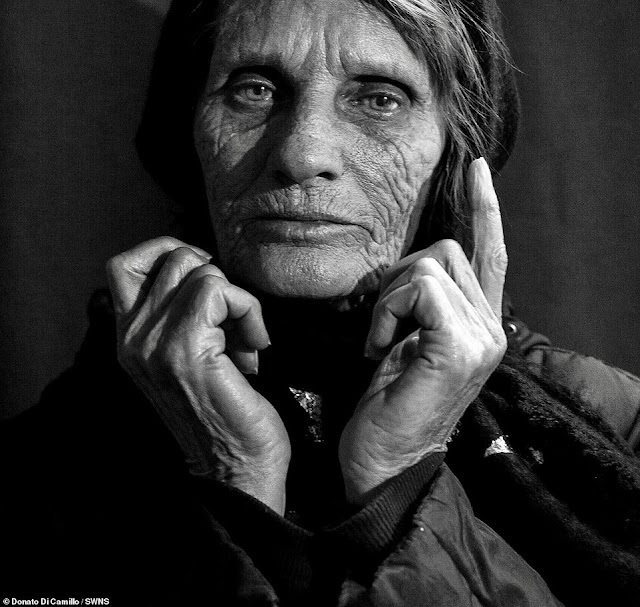 Natalie said: 'I adore face masks that's the reality of us women these days, it's what we look like almost every night so you've got to throw in a realistic picture of what it's going to look like after date five. Tinder presents: why you should swipe me. 'I think the first three dates you're shy, getting to know each other, while date four/five is when you start being comfortable around one another. 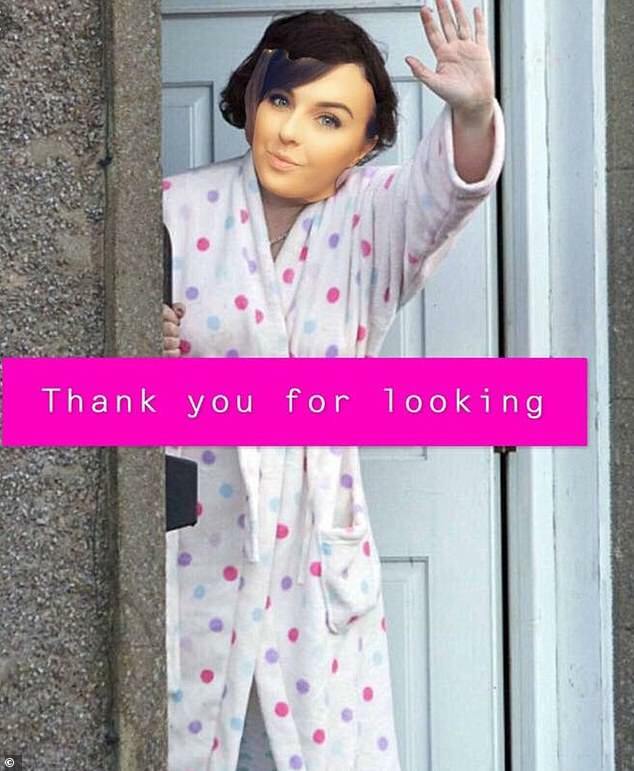 The final slide shows Natalie's head superimposed onto the infamous picture of Susan Boyle wearing her dressing gown and waving to the cameras. Natalie said: 'That's me waving them off to work in the morning. I don't have an actual photo of me doing that so I had to improvise. 'My ideal man is funny, caring, laid back, open minded and adventurous with some ambition. 'The kind of man I think I'll attract are ones with the most sense of humour. 'Genuine guys will see that although it's funny there's a realistic side to it too and see that I'm a laugh. 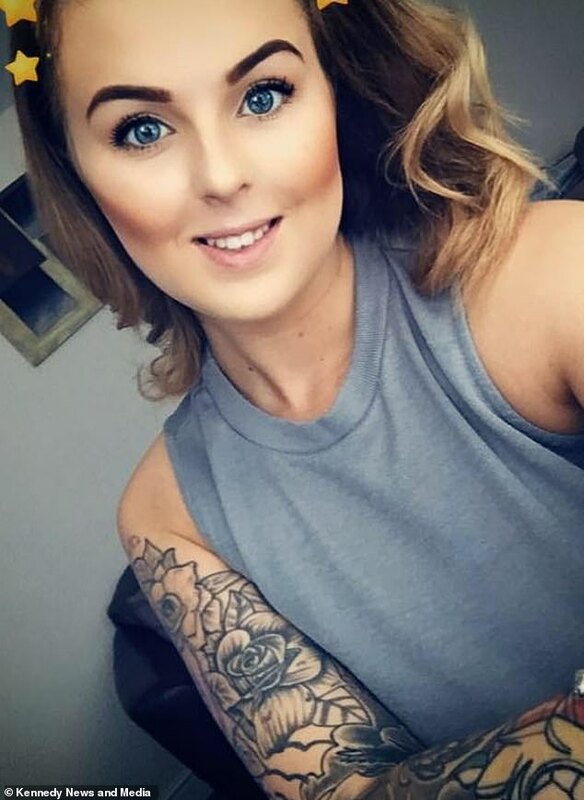 It seems Natalie's ad is proving a big hit with Tinder users as she's been inundated with messages from men loving her quirky approach.